Hello, traders. 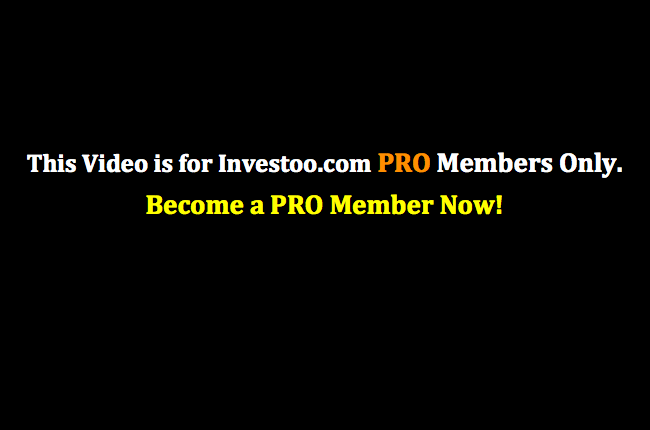 Welcome to the Pro Trading course, and the eighth module, Professional FX and CFD Trading. In this lesson, we are going to learn how to hunt for home runs by looking for that 500 plus pip trade. Now, first of all, let me tell you that it’s not easy to look for home runs. And it’s definitely not easy hitting them. But they’re out there. And you have to know where to look for them and how to look for them. So we’re going to go to the charts, and right here, we are looking at the Euro-Japanese Yen on the forward chart, okay? And this is this month’s price action. And the first thing we’re going to do is we’re going to see what the overall direction of the market is. And to do this, we’re just going to zoom in on price action. And as you can see, we have been in a down move for, well, for the past six or seven months. So we are definitely going to look for short opportunities. Now, let’s zoom back in, and the first thing we’re going to do is we’re going to look for possible setups, all right? And we are going to use the previous monthly high and the previous monthly low for those setups. Because we are in a down move, we are going to try to find bounces of the previous monthly high. And that’s it. Well, that’s not it, basically, but that’s what we’re going to look for. And as you can see right here, price finish on a high around, let me grab my crosshair[SP] tool, around 128.212. And our price low, our new low in the month at 127.414 and then came back to the previous monthly high. Now, that’s not the only thing we are going to be looking for. We are also going to use our Fibonacci tools. And why are we going to use our Fibonacci tools? Because we want to look for confluence. We always want to look for confluence in levels. And we want at least a 50 to 61.8 retracement into that previous monthly high. So what we’re going to do is we’re going to grab the Fibonacci retracement tool, which is right here, and we are going to draw the Fibonacci retracement from the previous high to the previous low before the retracement began. And as you can see, we are right here on the previous monthly high at the 61.8. And what I’ve done here, I’ve deleted the 76.4 and the 50, because the important level, or the level that matters to us right now, is that 61.8 that confluence perfectly around these levels on the previous monthly high. Now, what we’re going to do right now is not blindly take a short position at this level, all right? We are going to use chart formations for this. And the reason we are going to use chart formations is because we do want, well, we want the previous structure to break in order for us to get into the market. And the reason we want the previous structure to break is because we are aiming at big gains here, and, well, we are aiming at big moves. We are not just day trading this bear. We are looking for that home run. And because we are looking at the four-hour chart, I mean, here we have an 85 pip range. That price can get stock in. So we really need a four-hour candle to close below. And what happens here, we get that break when this candle closes below this wedge. Now, I’m going to zoom in on the candle so you can see what I’m talking about. Now, price closed on the month right here and then came back for around 80 pips and then tested the previous monthly high around the 61.80. Right here is our short setup. Why we are short? Because the overall move in the market is to the downside. Then we are going to put our stocks above the 61.80, because if we break with these levels, well, our trade idea is no longer valid. And by doing so, we do have a 134 pip stop loss. Remember that we are swing-trading this. And that’s why we need such…well, why there’s stop losses. And you need to calculate your precision size accordingly. So this is the first part of how to look for big home runs, all right? Now, the second part is the most important part and that the trade management part of the strategy. Because we are right here breaking a wedge, we are going to calculate the target of the wedge. And we are going to go from the high to the low of the wedge, and we have around 250 pips. And if we take from the breakout to the down side, we have 250 pips right about at this slope. So basically, what we’re going to do is we are going to try to take half of our position right here at this slope. And this gives us 250 pips in the bag, okay? Now, that sounds easy. But remember that we are looking for big scores. And our second target should be the previous month low, okay? And remember that we are in a down move. And because we are in a down move, it is very possible that price is going to break with the previous monthly low and make new monthly lows, all right? And as you can see right here… Well, first of all, let me explain to you how you’re going to trail your stops. Now, that we have made this target, we are going to move our stops to the next area. And the next area is right here, just above the previous string high. Remember that we are in a down move, and right here is where we had a small retracement. So we are going to move our stops, and we are going to be locking in an extra 120 pips, because if price comes back and hits our stops, this means that this down move or this down structure that we are currently in is broken and price is going to continue to the upside, and we want to lock some profits before that happens. Our ultimate targets are right here at the previous monthly low. Then price comes all the way down here, almost hits our target, and makes a new retracement. And it retraces right to the monthly support 1. When this happens, you are going to move your stops right here, to the next area or the next logical area, which is the next high of a retracement. And we are going to wait for price to hit our target. And by doing this, you are going to be locking in an extra 280 pips. So we have 250 pips and locked in 280 pips. That’s 530 pips overall. And as you can see, price comes all the way down to our target. Well, our ultimate target should be a few pips above the previous monthly high, which would make this entire move a 480 or 490 pip win. And basically, this is how you’re going to be hunting for those big moves.